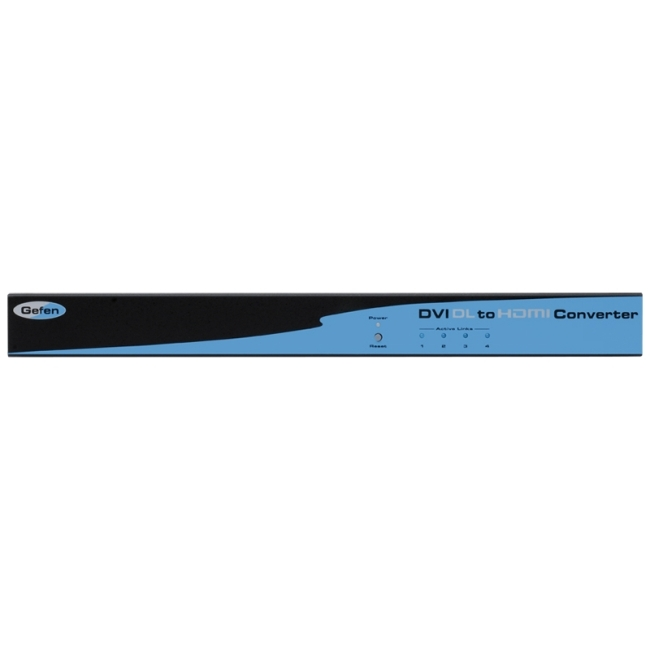 This product actually offers four separate converters in one Rack-mount unit creating a professional solution to customers in the digital imaging business. The Gefen DVI Dual Link to HDMI Conversion Box Rackmount product converts dual-link video generated from a computer graphics card in such a manner that it allows resolutions up to 1920x1200 to be converted to HDMI, for spectacular viewing of computer images on any HDMI-compliant display. Selectable 8-bit, 10-bit or 12-bit Deep Color allows for breathtaking visual images with photo-realistic detail.